We move we think in a brain sensed environment that demands our interpretation. We see with our brain we sense gravity within our brain. To temporarily lose this sense of gravity as a primal direction as astronauts do is comparable to the adaptation within our plastic brain response to a gravity hit that is the injury of a brain concussion. The responses and adaptations to both events is profound as we age prematurely as the outcome. As I have suffered my own brief stroke a few weeks back I contemplate the ability of our brain to heal itself. For that brief exposure I am in wonder at the capacity to self repair. But my knowledge is that more direct. The first paragraph is what I have learned teaching myself during the past two years trying to fathom the complexity of what is a brain concussion ? No question the elephant in the room for the discussion of how important is gravity to our brain to all mammalian’s is this central orienting vector of our planet’s gravitational force field. Everything we do what we sense how we are built how we procreate how we shape sense has to do with the omnipresence of gravity acting on every single cell within the tensegrity networks that we all are built upon. Whether it’s Kate Upton floating in a parabolic flight of microgravity we all surrender to the direction that gravity imparts onto our inner makeup. Every single step we take from the first baby step to the final death step is linked into gravity. We constantly seek positional equilibrium by leaning instantly juggling the vagaries of our own shifting center of gravity as we stand. In contrast in outer space microgravity any posture is in equilibrium without any muscle forces which demands a profound change in the brain/body control strategy. The human body is divided into zones of control to coordinate motion within 3 dimensional space. The head, the neck, the torso, the limbs and the contact surfaces of the feet at the interface with mother earth. The system of control is believed to function in both directions to the head and away from the head. The tonic vibration reflex in flexor muscle is enhanced hence after a concussion I would predict that this overcompensation would influence the body of the concussed person to lean less in compensation. How would ASIMO the Honda robot perform aboard the International Space Station in terms of motion ? Since this robot doesn’t have our human plastic adaptive design algorithms to respond to microgravity the robot would essentially crash. The entire repertoire of its motion control parameters would cease to perform stalled in antigravity. In one of my previous essays I stated ,’Robots don’t yawn.’ But somewhere in their algorithms ASIMO will calibrate into the direction of gravity. Otherwise a robot can’t mimic a childlike jump into the air to land recovering to find its balance instantaneously. What is happening inside the control sequence of a robots body segments is an elaborate algorithm of control motions to center the mass as different parts of the robot swing out of the plane intersection at the center of gravity. Take away the gravity force field all the algorithms won’t have ASIMO reacting the way an astronaut slowly adapts to microgravity. But why this emphasis on microgravity? What has gravity got to do with a brain concussion? Remember the first thing that responds inside our own inner accelerometer within a millisecond, inside the saccule and otoliths is a detection of a change in orientation to any shift in acceleration. There’s an old saying in computer language first in first out in this instance that translates to: gravity in gravity out: GIGO . Our entire control hierarchy how we position ourselves is based on gravity so this is the system the brain reacts to first. It’s in the design. If you want to interpret brain concussion in detail you have to know how Nature treats gravity. It’s the reference frame you have to involve the space around us. But not only the space also the motion of time in that reference space. And let me emphasize tensegrity based motion. In that brief moment of floating/falling/microgravity within parabolic flight what is changing within Kate Upton’s brain control? Her proprioception input/output at each of her joints: at the ankle, at the knee, at the hip, at the torso, at the elbow, at the shoulder, at her neck and within her head position. This entire setup suddenly will respond differently since now all the connecting muscles no longer have to work to find gravity. Her body shape distorts in this antigravity moment no matter how brief. But remember also the design that shapes this entire body is tensegrity based, the floating tension network how Nature builds things. How fast does this transmission within tensegrity as a floating tension network occur? There is no agreed upon metric to adequately describe this. But a very tight fit to the observations is from Thomas Mergner and Thomas Rosemeier who described to the best of their assessment in Brain Research Review 28 (1998) 118-135 Interaction of vestibular, somatosensory and visual signals for postural control and motion perception under terrestrial and microgravity conditions-a conceptual model. Thomas Mergner and Thomas Rosemeier have delved into how our body segments behave together as a unit under the control of the vestibular systems that harmonize how our body places itself in gravity and aboard the International Space Station in antigravity conditions which is what the astronauts have to adapt their plastic brain into. My main point in all of this is this antigravity mimics the damage from a concussion into the vestibular control apparatus which affects how we position and move our bodies among other things. It is the reference frame to learn how a brain concussion behaves. As we build better and better robots we learn how to build comparable algorithms how our own inner brain systems work with gravity in tensegrity motions. Life is all about motion when we die we stop moving. Gravity wins we can’t create the motion anymore. That’s why it’s so fundamental to understand this aspect of our inner working. How shape sensing performs our ability to view the passing world in our motion along side as time flows in a gravity zone. 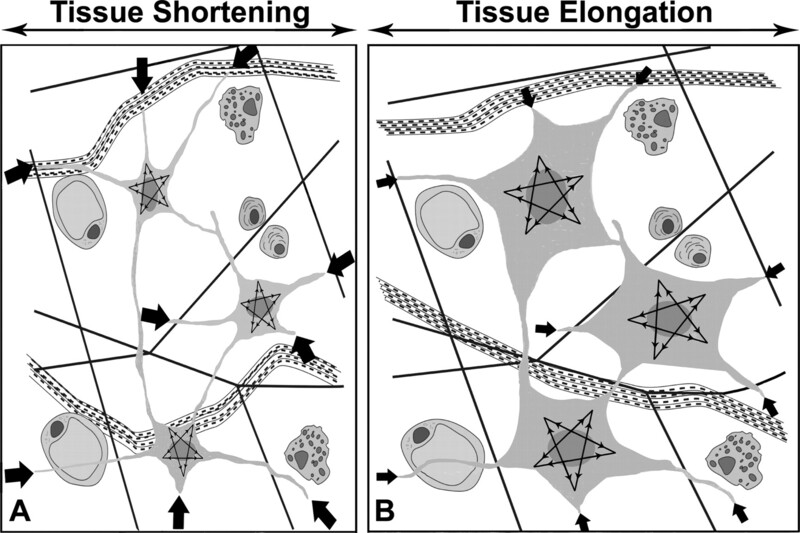 Our fascia extracellular tensegrity network is essentially a water based network. If we compare this transmission to the speed of sound in water since essentially vibrations like a caught insect sweeps across the web at the speed of sound in water which is 750 miles per hour. Contrast this to nerve conduction speed of 150 miles per hour. That’s the performance capacity from all of those joint/node proprioception to respond rapidly to motion within shape sensing. It’s easier to tag Kate Upton as Miss Tensegrity to make a reference to high-speed tissue integration communication. Lets make a new word combining Gravity TENsionCOMPression so it becomes G-TEN-COMP. There that makes it like a big super fast network which is exactly what it is, the g-ten.comp network how we shape sense life. So where might the existence of this super fast network reveal itself in terms of what happens to the tension compression floating balance if trauma occurs like traumatic brain injury or TBI? The answer may lie in the make up of the compression elements trying to reestablish altered motion forces by reacting readjusting the compression elements. In other words bone growth may suddenly start to reveal itself in unusual places which is exactly what appears to happen. Bone is a compression element within biotensegrity and the process in medical lingo is heterotopic ossification or HO. In PLOS one, published on January 31, 2011 in the report: Troublesome Heterotopic Ossification after Central Nervous System Damage: A Survey of 570 Surgeries by authors Francois Genet, Claire Jourdan, Alexis Schnitzler, Christine Lautridou, Didier Guillemot, Thierry Judet, Serge Poiraudeau, Philippe Denormandie. The Greek term ankylos ( ἀγκύλος), bent, crooked) is a stiffness of a joint due to abnormal adhesion and rigidity of the bones of the joint, which may be the result injury of or disease. A gangrenous like immune compromised disease called Noma is found around the border of the Sahara from malnourished children which affects the upper and lower jaw to the point of interfering with their ability to eat and talk. In the distant past, even dinosaur fossil bones from Tyrannosaurus Rex have shown evidence of ankylosed bone, that have fused together. But that is the wonder of Nature to build using the floating tension/compression so when forces go bad the tensegrity net the g-ten.comp reveals the original design in the bone to be biotensegrity based which is why the evidence shows up in dinosaur bones within fused bone segments. Noma also showed up earlier in the last century in Nazi concentration camps amongst the Jewish prisoners studied by the indifferent dead moral brain Nazi doctors. 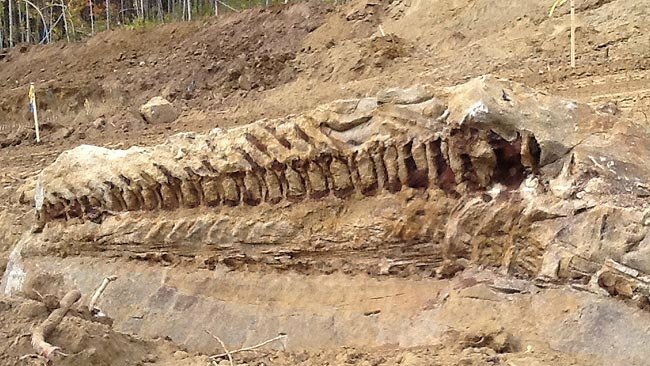 The skeleton of a duck-billed dinosaur was discovered by workers excavating for a pipeline southwest of Spirit River, Alberta, on Sept. 30, 2013. My point is this. The human mouth is a working expression of biotensegrity. This gorgeous opening brings joy in the form of a smile or the soft-spoken word and joy for the simple pleasure of taking in food. Alter the tension in soft pliable tissue around the mouth and the ability to open or close collapses with the growth of bone in those delicate surrounding tissues near the main mouth joint which is a point of motion of biotensegrity. Noma disease teaches us that our own mouth is a biotensegrity opening mechanism. We are built from biotensegrity and our mammalian ancestors in the form of dinosaurs are also biotensegrity designed creatures. Change the tension compression from gangrene infection around the mouth tissue you start to lose the function of the biotensegrity motion of the mouth. You stop speaking you stop the ability to eat. Biotensegrity isn’t just about the mouth. The mouth is connected to everything. To the inner alimentary tract to our intestines to our body to our head to our soul. Biotensegrity teaches us the whole biotensegrity system runs at super speed at 750 miles an hour as it shape senses within the environment surrounding it. But nowhere in their article do the authors invoke the term of biotensegrity but it is most relevant in my mind that the main complaints from the patients are compression on the nerves and loss of mobility which is a form of rigidity or loss of elasticity, which are descriptive terms of tension/compression for g-ten.comp networks, no ? I found this picture in the biomimetics robotic lab of the Massachusetts Institute of Technology. Is it a coincidence that robotic engineers are building running robots copying Nature using biotensegrity design? The actual contact point is at the blue arrow what is called the haptic surface where the interaction with gravity forces occurs. “Leg’s musculoskeletal system with an adaptive neuromuscular control employs a synergistic arrangement of bones, muscles, tendons and ligaments to withstand the high ground reaction forces in a relatively light structure. For example consider the anatomical arrangement of the human leg. 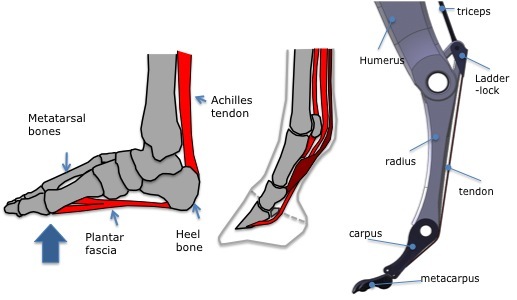 When there is a large load at the metatarso-phalangeal joints\footnote (ball of the foot) during running, the ankle especially if the foot is considered as rigid body, would experience a high moment (roughly 309 N.m for a 70 kg human. Assuming the length between the ball of the foot and ankle is around 0.15m and the maximum ground reaction force is three times of weight. However, the ground reaction force is distributed through the bones, tendons and muscles. As a results plantar fascia, the Achilles tendon and the gastrocnemius muscle carry tension and the bones including Metatarsus bones and tibia are loaded mainly in compression. As the bones have better strength at compression than tension and tendons and muscles have high strength in tension this distribution of the loads provide a design which is strong and light. The tendon also plays an important role in providing necessary compliance and energy storage. The same principle seen in humans (plantigrades) can be seen in unglulates (Nail runners as horse, and digitigrades (e.g. cats and dogs). For gravity to work you have to link into the texture of the fabric of the curve of gravity surrounding attracting objects which are big objects like Earth. 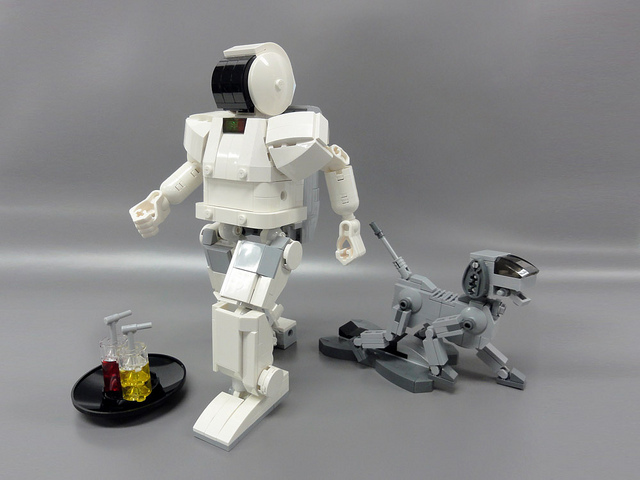 We observe as MIT robot engineers begin to mimic the control/design of robotics in motion they struggle to comprehend existing complications like a human leg in motion as the body runs across a surface. As we try to develop more pliable robots we make the comparison with the robot legs to motion to our own legs. But remember that elephant in the room, gravity. 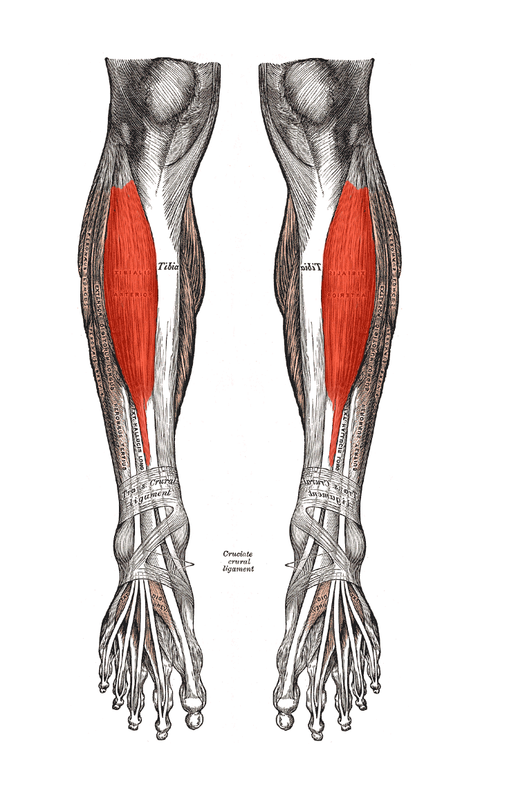 What actually happens to the leg muscles on lengthy space missions? Both the tension and compression dynamics hence the proprioception of the critical gravity sensing at the joints all changes. Suspend a robots legs, like immobilization for a patient staying in bed for a couple of months the leg muscles atrophy or degenerate. A robots legs bounce right back they don’t rely on biotensegrity based neurotrophic factors. The latest understanding of these scaffold cuing surounding cells exists down to the DNA size dimensional window. What is very important to pay attention from this journal Nature article description above are the words, scaffold and prism and compressive forces, and springs and especially helix bundle. All of these terms are biotensegrity terms at the scale of DNA. Everybody has heard the term double helix for the DNA. But notice this is all about shape, involving the transmission of information. DNA is the genetic code of assembly but the device itself is assembled in biotensegrity floating tension balanced to compression. Scale this architecture up from DNA to those loose muscles and tendons in the ankles of astronauts without gravity and you have changed tension/compression as changed information from different proprioception. The shape changes caused by the lack of direction of gravity change the character within those weight-bearing muscles. Even though there are all kinds of elaborate substitutions for exercise in microgravity the muscles still lose tension/compression and information without the constant vector of gravity flow as their morphology warps. NASA scientists have started to observe that simple vibrations may counteract the exposure to the antigravity effects of reduced gravity, how might this apply within a biotensegrity structure like a leg muscle ? Different vibrations cause the structure to sway tilt direction or rotate about the attachment. 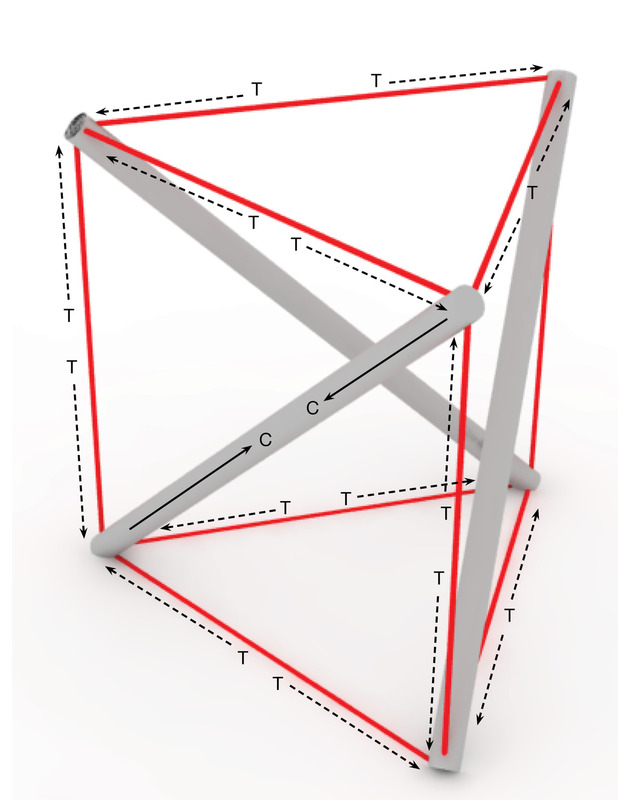 Shape changes are information changes in tensegrity in motion. In the earlier portion of this essay I mentioned the formation of bone tissue within disused muscle tissue. But no one makes the reference with biotensegrity when this heterotopic bone formation is queried. 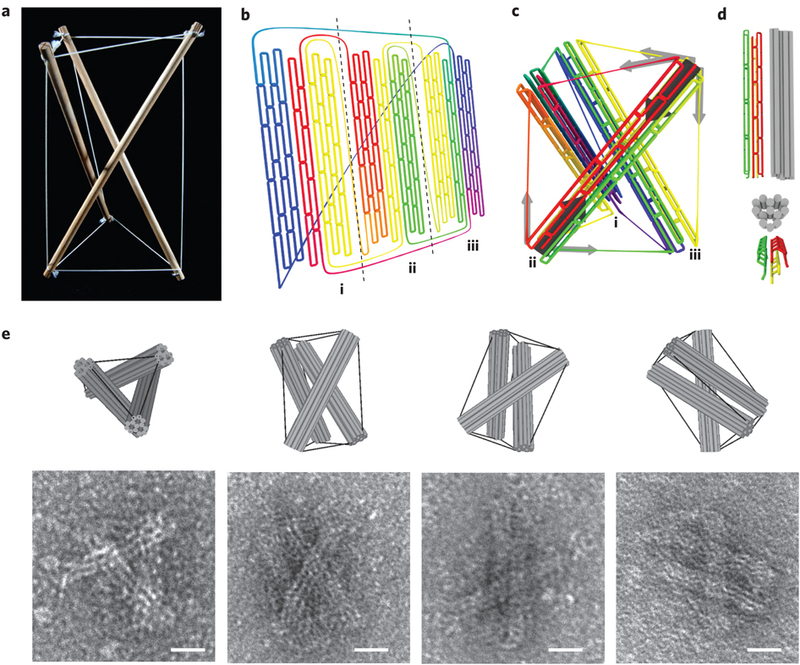 Bone metabolism needs both shape sensing in a gravity field within biotensegrity shape networks during its timeline of molecular scaled cycling activity. So what is really happening to Kate Upton during her brief exposure of 20-30 seconds of free fall microgravity antigravity-like behaviour within her biotensegrity right leg muscles the soleus and tibialis ? 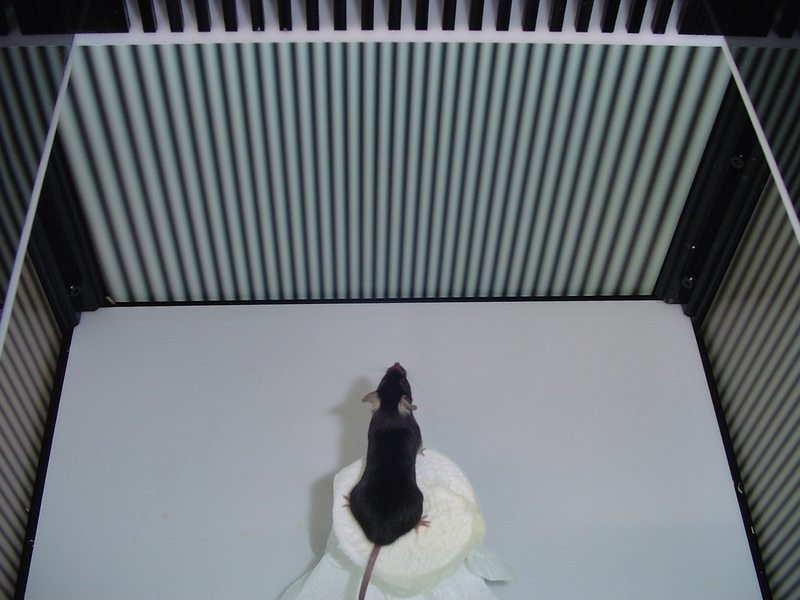 I will quote at length from Neuroscience Letters 79 (1998) 113-116 Motor activity and visually induced postural reactions during 2-g and zero-g phases of parabolic flight by G Clement and C Andre-Deshays. Notice the authors remarked the constant force of either the acceleration of free fall or gravity acting within the length of elasticity of these particular ankle muscles reacting at the speed of biotensegrity to the brain and back before the reflex can respond in anticipation. What is the speed of biotensegrity? What is the speed of sound in water its 750 miles per hour. But wait a minute what is the speed of nerves for their transmission isn’t that around 150 miles per hour? So suddenly we have this holistic communication that travels 5 times faster. 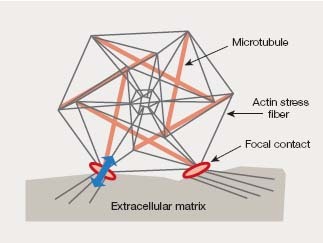 Also notice their choice of description to calibrate into gravity with, “our hypothesis that movement control is calibrated in relation to a terrestrial force background.” As I have mentioned in previous essays in http://www.cerebrovortex.com Nature has to calibrate to gravity accomplishing this biotensegrity movement with a deep yawn, the reflex into gravity. But what is really observant from these authors is the existence of this false impression of leaning forward like a matrix of our body shape exists in our mind of where we are in 3 dimensional space within a X-Y-Z of calibrated space that we place ourselves into. But here’s the magic. 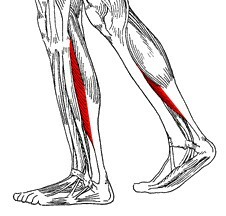 The entire communication biotensegrity apparatus can be engaged by vibrating the soleus muscle to create this false lean in 1g as a normal response that will no longer be present in zero g or perhaps following a brain concussion that alters how our haptic foot contact interaction at our ankle reacts to the new sense of where down is. That’s how you differentiate a brain concussion. After vibrating the soleus, when you don’t lean either gravity is different or you have a gravity injury which is temporary loss of contact to the most important reference on Earth the gten.comp network, where is ground?